Session Summary: Includes the session summary available in the main Loupe Desktop as well as a list of all of the assemblies and threads recorded for the session. Log Messages: All of the individual log messages recorded in the session. 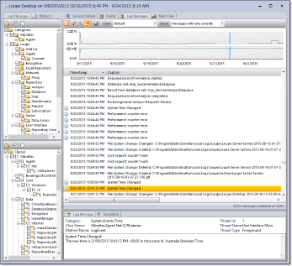 Log messages can come from multiple sources such as .NET Trace and Debug messages, Log4Net, and directly from application code. Events: When connected to a Loupe Server the distinct warnings and errors in the log are summarized and displayed, along with any related issues or defects that are being tracked. Metrics: Loupe automatically records a number of performance metrics both from Windows Performance Counters and from the .NET runtime. Additionally, applications can extend Loupe with any number of custom metrics. The Session Viewer is intended to display a great deal of information in a relatively compact space. This can create a daunting first impression but it is designed to be mastered quickly. Additionally, it's possible to hide many of the user elements until they are needed. To dive into viewing log messages, see Loupe Desktop - Log Messages Viewer. To understand all of the session details, see Loupe Desktop - Session Viewer - Session Details. 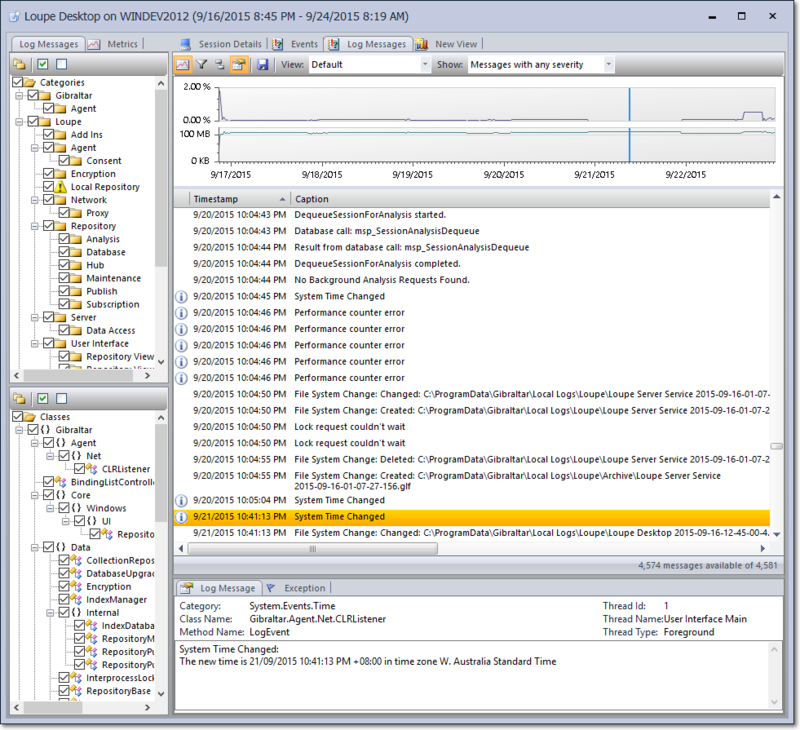 To resolve errors and warnings in the session, see Loupe Desktop - Session Viewer - Events. For more information on displaying Metrics, see Loupe Desktop - Metric Graph.